In my brief time working as a student intern for the journal I have already been asked numerous times by authors and readers alike “so what the heck is an Amoskeag, anyway?” Despite having lived near the Manchester area for more than a few years now, and being somewhat familiar with the word, I still found myself stumbling rather incoherently to explain the meaning behind the term and how exactly it connects to the journal. Now that the blog is up and running, I thought it would be the perfect forum to get the word out on what exactly an “Amoskeag” is and why it was chosen as the title for Southern New Hampshire University’s literary journal. The word Amoskeag itself actually comes from the Penacook Indian dialect meaning “abundance of fish.” Nearly two hundred years before the Industrial Revolution hit the area, the natives of northern New England looked to the Amoskeag Falls on the mighty Merrimack River for pure clean water and exceptional fishing. It wasn’t until around 1837 that the Amoskeag Manufacturing Company and the city of Manchester, New Hampshire began to take shape after careful planning and development. The town was intentionally named after Manchester, England – the world’s largest textile city at the time. Almost as a self-fulfilling prophecy, the Amoskeag Mills and the town around it indeed surpassed its English namesake and eventually became the largest textile factory by the turn of the 20th century. By this time, the city of Manchester (thoroughly influenced by the mills) had also grown into one of the largest cities in all of New England with a booming population of fifty-five thousand. The majority of this growth came from French Canadian immigrants heading down from Quebec to find work at the mills. 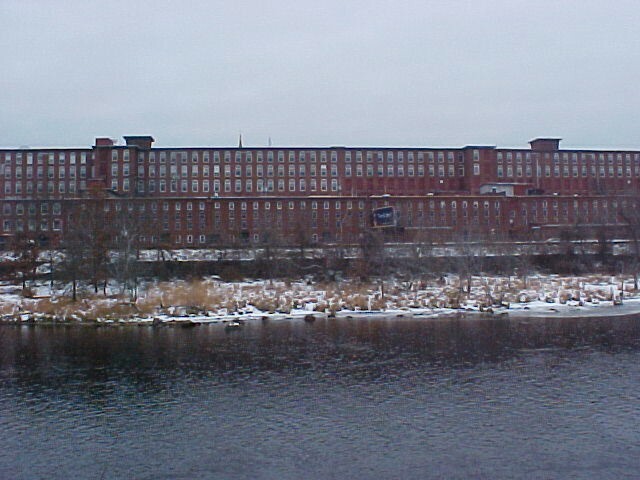 By 1920, a large number of Greeks and Poles had also immigrated into the workforce to create a unique ethnic diversity focused around the Amoskeag Mills. Life was undoubtedly hard for workers at the mill, and many have looked back in sadness toward the use of child labor and other unfortunate mill-yard consequences, but a vibrant and unique community also grew from this “Amoskeag spirit” and “identity.” The workers and mill managers living in the blooming city of Manchester organized a wide array of social and recreational activities including dinners, picnics, baseball teams, musicals, plays, Christmas parties, and even a published monthly magazine – the Amoskeag Bulletin. Sources: Hareven, Tamara K., and Randolph Langenbach. AMOSKEAG: Life And Work In An American Factory-City. Random House, Inc., 1978. Print. This entry was posted in General Posts and tagged Amoskeag, History, Journal, Literary, Meaning by bengentry. Bookmark the permalink.